In case you missed it, tech has a diversity problem. EBay (EBAY) is the latest tech company to publish an employee diversity report, revealing it hires mostly white and male workers. The eBay numbers follow similar reports from fellow tech industry leaders. Google (GOOG), Facebook (FB) and Yahoo (YAHOF) have all released data on the gender and racial makeup of their employees. EBay is 58% male -- a number slightly less skewed than Google's 70% and Facebook's 69%. When it comes to racial diversity, the numbers closely mirror its fellow tech giants. 61% of its employees are white, 24% are Asian, 7% are black and 5% are Hispanic. Multiracial and "others" make up the remaining 2%. When it comes to its tech jobs, the percentage of black and Hispanic employees is just 2%, and representation of women is just 24%. Asians actually hold the majority of tech positions, at 55%. EBay's leadership is 72% white. Only 28% of the company's leaders is women -- and eBay says that number is more than double what it was three years ago, since the launch of their Women's Initiative Network, which aims to attract female employees to the company. That poor diversity is in spite of eBay having a female CEO (Meg Whitman) for a decade, until 2008. The numbers illustrate what has long been suspected about Silicon Valley's diversity gap, but is only recently being backed by data, as companies are loosening their grip on the once closely guarded stats. When CNNMoney probed 20 big tech companies for their employee diversity numbers back in 2011, eBay was one of just five to reveal its data, almost a year and a half after the investigation started. 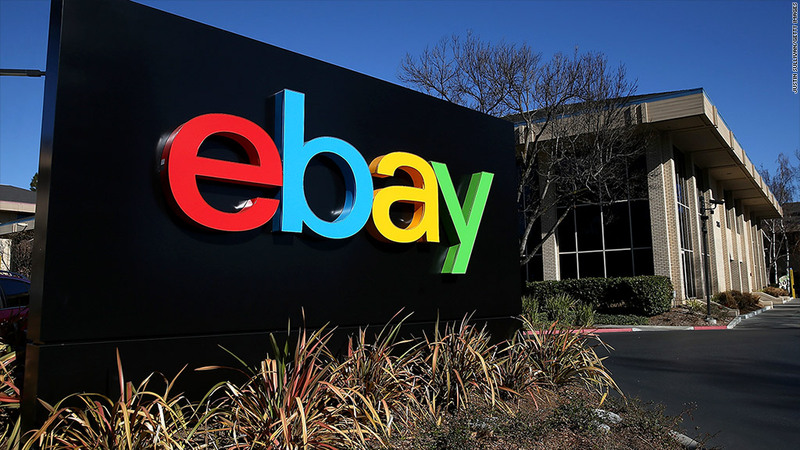 "As a leader in commerce and digital payments, we take diversity seriously," eBay said in the statement accompanying the report. "Since eBay was founded in 1995, we have believed in the power of technology to democratize commerce and create more opportunities for all. We believe in the same power of inclusion and opportunity inside our company." The e-commerce company said it plans to release a diversity report annually . Last month, Google followed its diversity report with the launch of its Made With Code initiative to encourage girls to pursue careers in tech. Both Google and Facebook have received visits from civil rights activist Jesse Jackson who has been pushing for greater minority inclusion in the tech industry.